Latest News for SSC CGL 2017 Calendar Released Click here to Download . 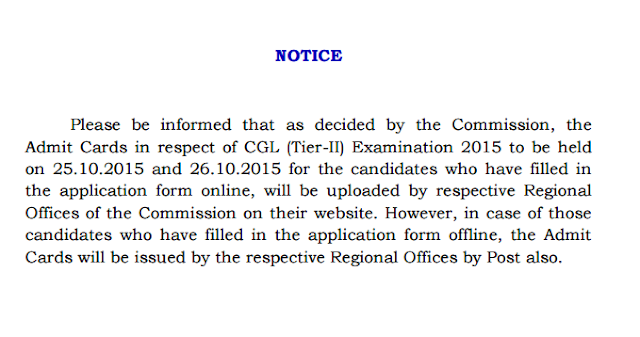 SSC is going to conduct the CGL Tier 2 Exam on 26th oct 2015. The Admit card for CGL Tier 2 exam will release soon . and the Result for Tier 1 Exam Result has been declared on 29th in the month of September. So keep prepare for the Examination Study Hard . Get our free Study material . Note : These dates are not Final and can be change as per Schedule . So wait for declaration of Result . Further you can check on official Website and Advertisement .